It looks like a watch, but it can do more than your Swiss watch does. Actually it's just a watch, but it enables you to leave your smart phone in your pocket more often. What is it? It's the new rising star - Smart Watch. Though smart watches are still a relatively new electronics category, these devices are set about hitting the mainstream and setting the world on fire. If you are still unfamiliar with this new stuff, now it's the time to get an insight on the best smartwatches currently available in the marketplace. Well, here I mean to introduce the best smartwatches for iPhone Android and other top smartwatches in 2015. 5KPlayer - let you 100% free AirPlay video music from Apple iPhone 6S/Plus, iPad Pro, iPad mini 4 to MacBook 2015, iMac 5K/4K, PC Windows 10/8. Alsl stream media from Mac/PC to Apple TV (4). No adware, spyware or malware. With the arrival of 2015, Apple users finally ends the day of envying Android users with multiple choices on smart watches. 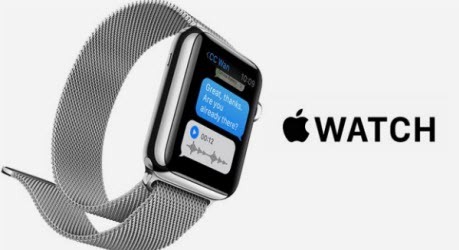 Now the best smart watch for iPhone eventually comes to your side, that is Apple Watch, which is available with three editions-Apple Watch, Apple Watch Sport and Apple Watch Edition. They are designed to offer specific service for you, e.g., Apple Watch Sport more emphasizes on caring your exercise tracking and health condition. 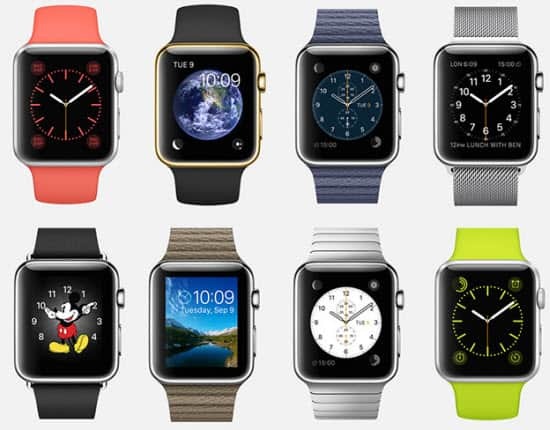 Apple Watch Edition is more suitable for rich people with gorgeous appearance design and much higher price. What else you should know about this top smart watch for iPhone is that you can apply a wealth of apps built in Apple Watch to make phone calling, receiving & sending messages, listen to music, reach to E-mail, maps, etc. and also download a zillion free apps for use on Apple Watch. It's reported that almost 70% above iPhone users would prefer to purchase an Apple Watch instead of Swiss Watch or Android smartwatches. Certainly, Apple Watch is also far from perfection. And it's seemingly a little bit verbose if I list out all the pros and cons of Apple Watch. So if you wanna get in-depth review on Apple Watch strengths and weakness, please check the post of Apple Watch advantages and disadvantages. 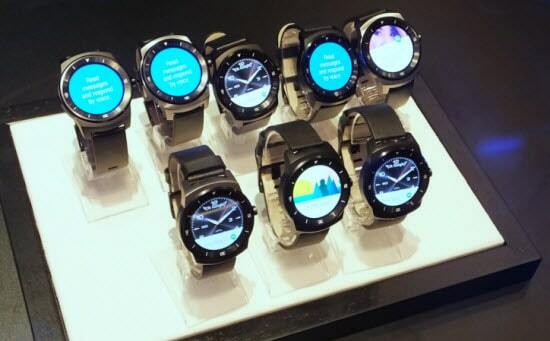 When it comes to top rated smart watches for Android, there are numerous options for you. Just because of this, it's become difficult to narrow down the best Android watch worth owning. No need to look around, here I recommend you the best-ever one - LG G Watch R. This newest watch from LG family is much better than OK. This G Watch R is relatively well equipped with a 1.2GHz Snapdragon 400 processor, 512MB of RAM, 4GB of internal storage and a 410mAh battery. Compared to its rival Moto 360 that's a better processor and larger battery, plus you also get a barometer, heart rate monitor and 9-Axis (which includes a gyro, accelerometer and compass). And it's true that maybe this Android wear smart watch doesn't look so fancy, but it's quite a wrist-friendly wear watch with hundreds of optimized apps and many more on the way. And more importantly, it can independently work well, all without making you reach for your Android phone. The screen is always on, always readable, and the battery lasts for 5 days, easy. Even better, it's compatible with both iOS and Android. Have a more stylish design than its predecessor and a built-in heart-rate monitor, but it doesn't do enough things well to improve its price/performance ratio. A very versatile smartwatch with a striking design, a bajillion features and strong app selection, but it could be more intuitive and responsive. The LG G Watch R is a smartwatch worthy of your wrist in terms of style, but it's still far from a polished device. There is still large room for Android Wear to improve. Motorola's first smartwatch is one of the best smart watch in 2015 with no doubt, yet it doesn't last long enough on a charge. The Sony SmartWatch 3 is a powerful and well equipped wearable with a good screen and reasonable battery life. In case it could do more things with various apps, it would be a real winner, but it's still remarkable. Practical and gorgeous, that's the evaluation from this top smart watch users. And costed at $200, it's quite on the cheap side, so it would be a wise choice for any iOS or Android users. Summary: Like cars, not all smart watches are created equal. Some are big and bulky. Others are lightweight and nimble. If you care about is the ability to apply smart watch to work well with your smartphones, like making calls, receiving messages, navigate, etc., it's safe to say the above mentions can satiate your needs. Of course, you might not be satisfied with the basic features, and wanna do more things, then you are suggested to have a shot on Apple Watch and LG G Watch R, if cost doesn't matter to you. Plus, for those who seek for top rated smart watch with a long life battery, no one can top Pebble Steel. And Samsung Gear Live and Moto 360 are suitable for you to constantly focus on your heart condition due to their built-in heart rate monitor unit. Supposing your attention is not the watch app supported but the GPS for navigation, then Sony SmartWatch 3 is your second-to-none choice. Find out the best one for yourself? I feel sorry if not and I just hope you can google on Internet and dig out the impressive smart watch you adore most. To free stream music from Apple Watch to Mac, the priority among priorities is to download a free yet safe AirPlay server. Here 5KPlayer can be the best option for you to achieve this goal with just simple mouse clicks. Below is the how-to guide. Step 1: Free download the best free music streaming software on Mac. And then connect your Apple Watch and Mac to enable AirPlay via the same Wi-Fi. Step 2: Tap the AirPlay icon on your Apple Watch; choose your Mac name to build up the connection. Step 3: Followed by the music you choose to begin stream from Apple Watch to Mac. Note: your Apple Watch is also used as a remote controller to put the music in shuffle play or cycle play. 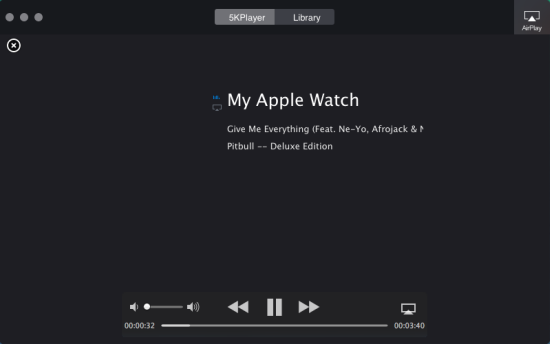 You don't need to stop running to pick another song, for 5KPlayer's built-in AirPlay function supports remote control of the Mac from the Apple Watch.